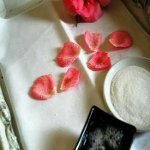 Twelve Oaks Bed & Breakfast, Best Texas Hill Country Inn B&B - Lodging Group Discounts, Small Wedding Discount Packages in Hill Country Texas. Romantic San Antonio honeymoon spot with inexpensive wedding offers and packages on site. Near San Antonio and New Braunfels TX. 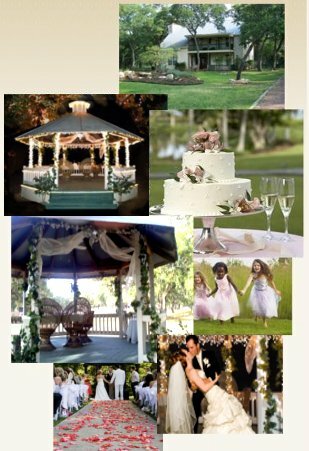 Texas Hill Country outdoor wedding venue rental serving SA TX, and surrounding areas including New Braunfels. Check out our Bed & Breakfast big discounts on wedding package prices. Romantic getaway near San Antonio, in the hillcountry with honeymoon suite. Beautiful Texas Hill Country bb with Spectacular Special Price Deals and Texas Vacation Packages, Hill Country Wedding Venue, Hill Country Family Vacation Getaway Packages, and Texas Wine Tour Lodging for nearby cities of New Braunfels, San Antonio, Boerne, Fredricksburg, Spring Branch and Blanco. This is the best place for a small wedding in Texas! Stay the night for only $175! This is a great choice for a inexpensive vacation getaway during the week, or for San Antonio business travelers who don't want to deal with noisy San Antonio traffic or expensive San Antonio hotels for their weekday business, conferences & meetings. We are two minutes from Hwy 281, which takes you directly into downtown San Antonio. Or, continue from our B&B directly to New Braunfels on FM 1863, fifteen minutes away. 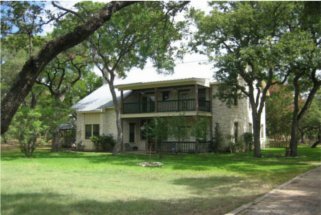 Click here for a map of our Texas hill county bed & breakfast inn. So much to see, so little time! Parents, children and grandparents can share this fantastic private loft with two separate bedrooms, a large shared bathroom, and a giant outdoor balcony which overlooks five acres of shady grass with wild deer roaming about. Vacation loft also includes a game room, small private refrigerator, TV's, free internet and work table. Organic breakfast with veggies from our organic garden and eggs from our pet chickens is of course included for everyone. Spectacular two bedroom family discount vacation package gives everyone the space they need, with the personal touch and creature comforts you crave. Best hill country family vacation discount, inexpensive lodging for fishing trips, Guadalupe park hunting trips, family reunions, or girl get together! Give your kids a taste of the real Texas hill country life ~ they can feed our chickens and bring in the eggs every morning, pick tomatoes and onions from our organic garden in the backyard, even try real green eggs and ham for breakfast! Want Texas family vacation ideas? Best family vacation spot in Texas is right here! Children & teens love tubing the Guadalupe or rafting the Comal Creek right near our B&B. This is your destination for active outdoor family vacation fun in Texas, fishing trips at Canyon Lake, explore Natural Bridge Caverns, hunting trips at Guadalupe State Park, or check out Schlitterbaun. Wild rodeo restaurants and great eating nearby too. nestled under five acres of mature hill country oaks. dressing room loft, cakes, silverware, bows, free parking and more! Gorgeous Twelve Oaks weddings, see Texas Outdoor Wedding photo gallery. Capacity: up to 250 guests. to pamper yourself and a few select guests on this special day.